The free version of Counter has one Hero Panel and four regular panels on the front page. In a paid version, you can set up to 24 panels. Hero panel always displays the content from the page you set as a static front page. The content for other panels can be set from the Customizer. To add panels to the front page follow the steps below. Step 2. Add the title, permalink, and content to this page. Note: Make sure, that you are viewing the front page in the preview screen, otherwise controls for editing panels won’t be visible. Step 4. 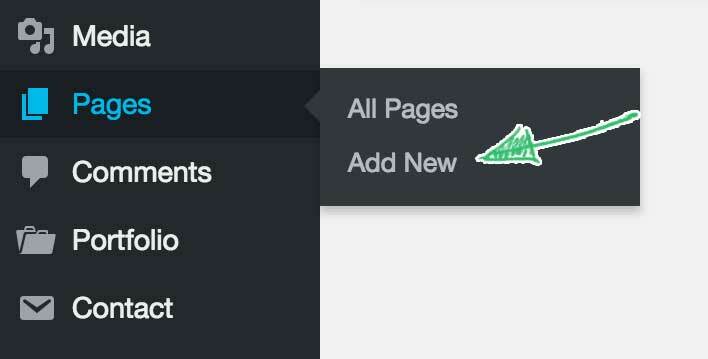 Choose the page you’ve created in the Step 2 from the Content select box and click Save and Publish. Step 5. Repeat these steps for each of the panels you want to appear on the front page. Now that you have all panels in place, proceed to the next article to learn how to customize the look of the panels.